Officials report that Fr. 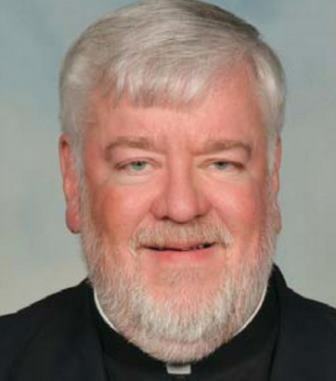 Michael Walters, a priest who formerly worked as an assistant pastor at Our Lady of Sorrow Church in South Orange and who has recently been accused of sexual misconduct with minors at another parish in the 1980s, had no role in the school there and no contact with students. Media outlets reported earlier this month that Fr. Walters was removed from his ministry at the church in October amid allegations that he sexually assaulted two minors in the early 1980s. Walters, 60, denies the allegations and reportedly left the ministry by “mutual agreement” with the Archdiocese of Newark. Like what you're reading? Help support community journalism and The Village Green by subscribing to our daily newsletter. Click here. David Ohlmuller, 46, told NJ.com that Walters fondled him, kissed him and offered him wine on various occasions in 1982, when Ohlmuller was 12 and a parishioner at St. Cassian Church in Montclair, NJ. A second accuser, who wishes to remain anonymous, said that Walters molested her during the same time period when she was 13 and 14. Both are being represented by Boston-based attorney Mitchell Garabedian, who has represented hundreds of accusers in the sexual abuse scandal that has engulfed the Catholic Church in recent years. According to NJ.com, Garabedian informed the archdiocese in August that he planned to file separate lawsuits on behalf of the accusers if settlements could not be reached. The archdiocese informed the Essex County Prosecutor’s Office when Garabedian filed a notice of a possible suit. OLS parishioners report that the church informed them in October; however, one parent of a child in the nursery school said he had received no notification from the school about Fr. Walter’s removal from the parish. Jim Goodness, spokesman for the Archdiocese of Newark, reported that parishioners were informed of the allegations against Fr. Walters and his subsequent departure at masses in October. However, Goodness and Sr. Judith Blair, the principal of OLS, noted that families in the school were not directly notified by the school as Fr. Walters had had no role at the school nor contact with students through the school.